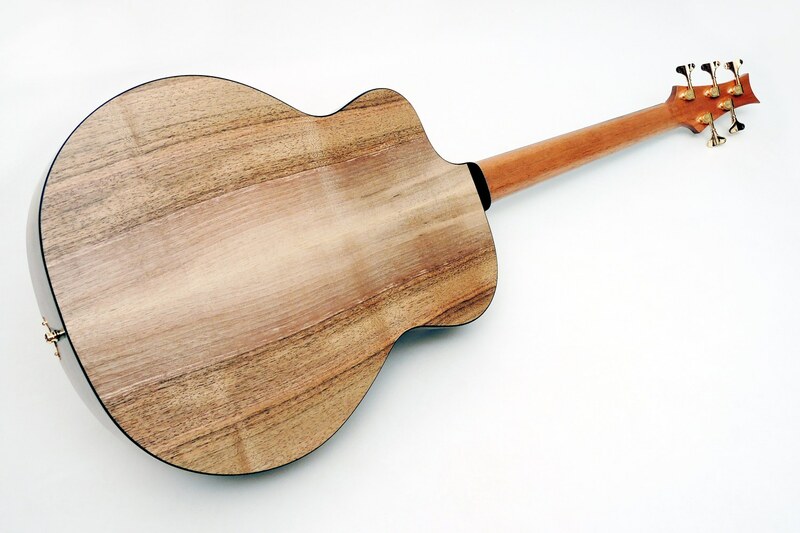 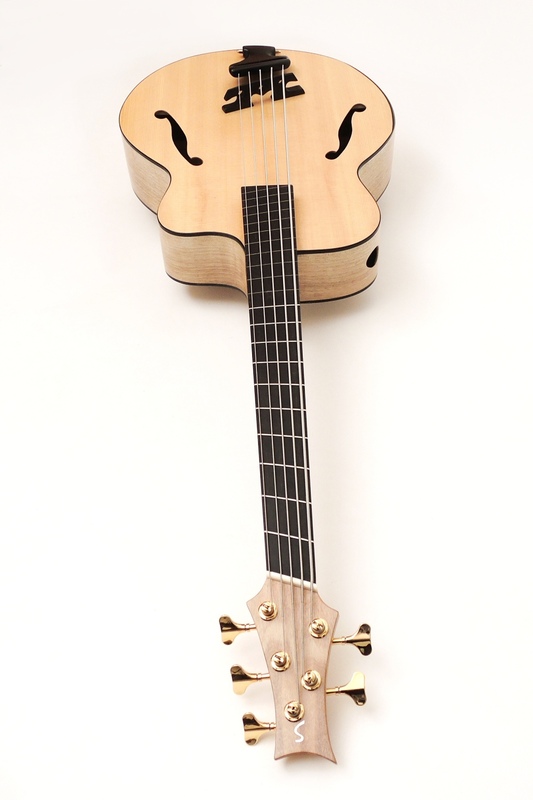 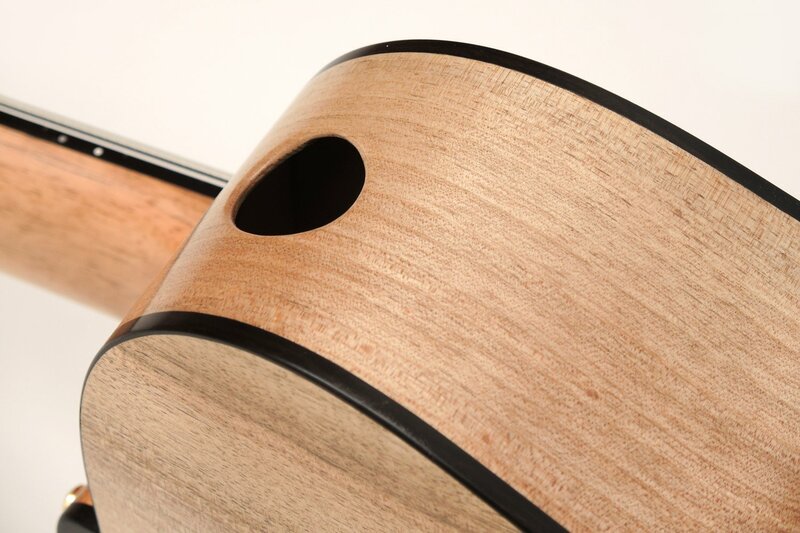 We have built a custom Acoustic Bass with a completely new appearance. 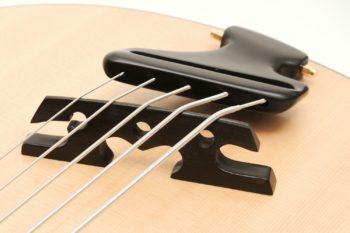 Based on the shape of our steel string guitar IQ, a bass with a very special charm has been created. 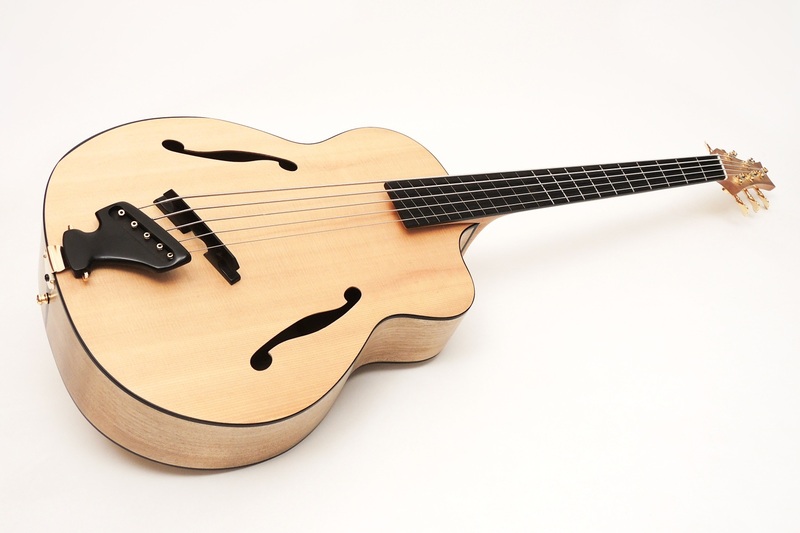 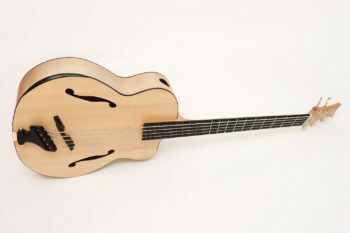 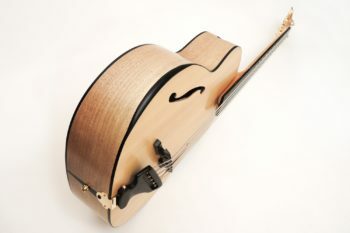 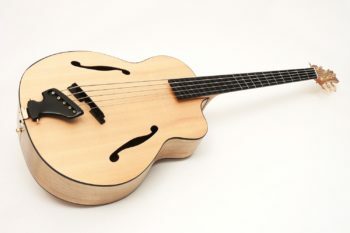 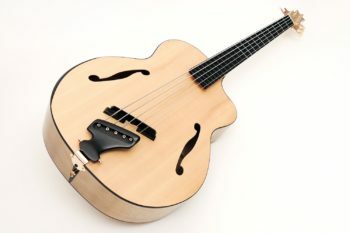 Archtop, F-holes, tailpiece , bevel, side sound hole, fanned frets and semi-fretted fingerboard are the unusual components of this successful new creation. More and more often, as with this bass, we avoid rosewood due to the complicated CITES regulations. 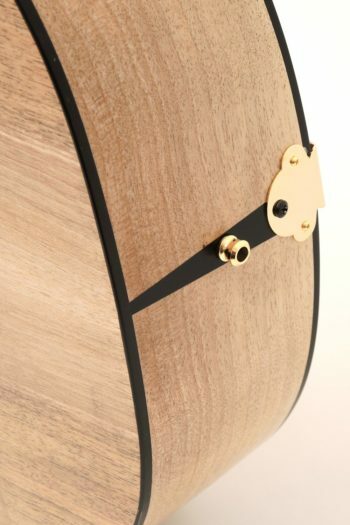 In the present model, back and sides are made of European Walnut and the top is made of Sitka Spruce. All dark parts, such as tailpiece, bevel, etc., are made of ebony. Like all our IQ guitars and basses, this bass has fanned frets with a scale of 864 to 915 mm. 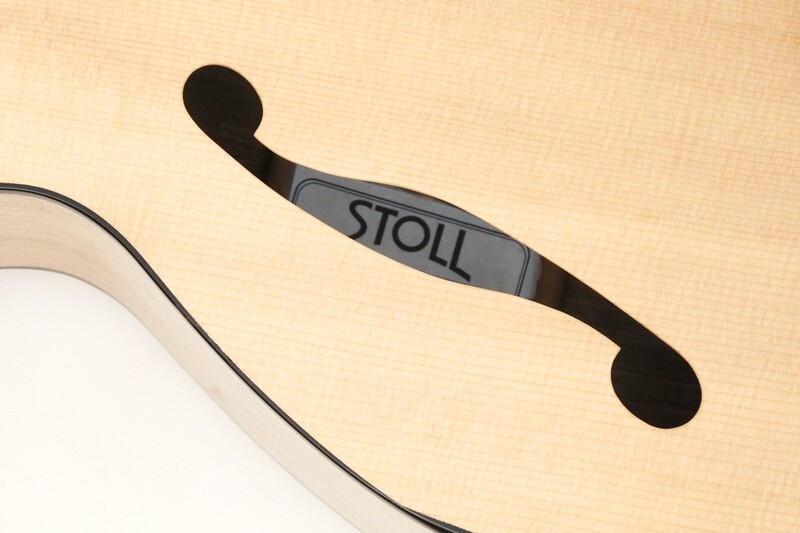 The IQ concept also includes a side soundhole and armrest. 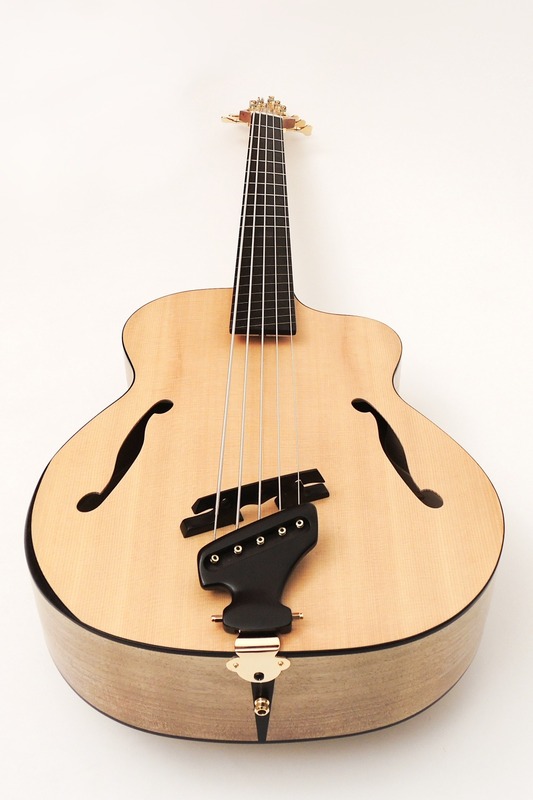 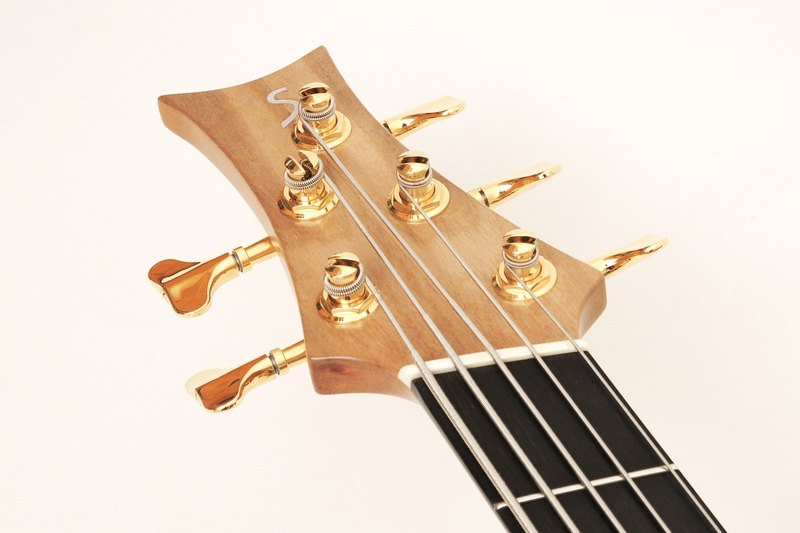 Really unusual are the F-holes, the tailpiece, semi fretless fingerboard and the arched top. The latter, however, differs significantly from conventional archtops. 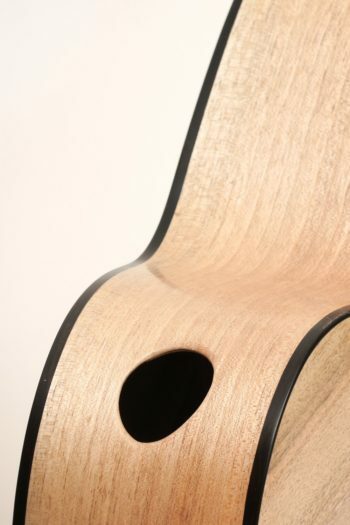 While these are usually carved, the top of this bass is finely sanded and arched transversely. 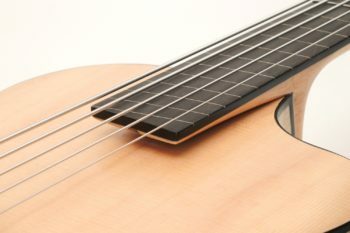 In this way we achieve, in contrast to ordinary archtops, a much thinner top that responds proportionately to vibrations. 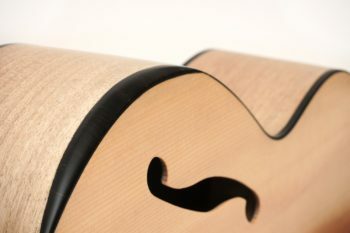 In addition to the arching, a completely new bracing system had to be developed. Due to the F-holes, we could do without the cut-out for the sound hole, which is resonance-technically unfavorable. 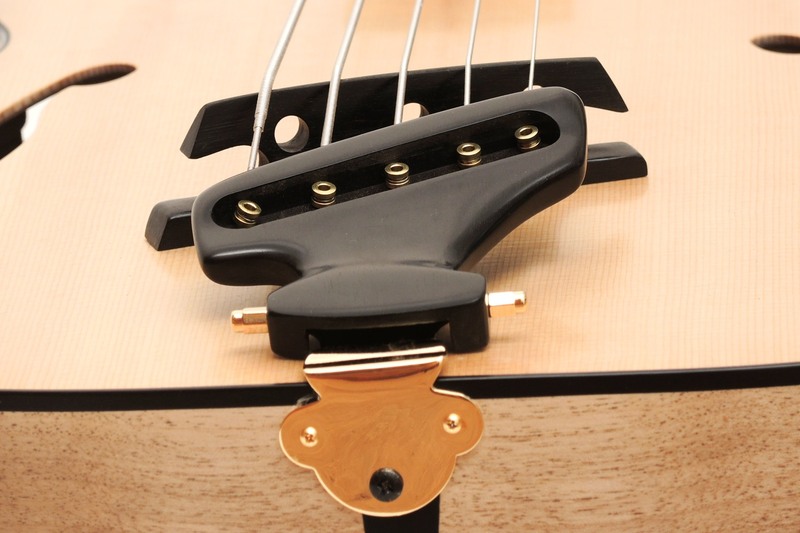 This way we also achieve great sound on the (compared to the "normal" IQ-bass) smaller surface.